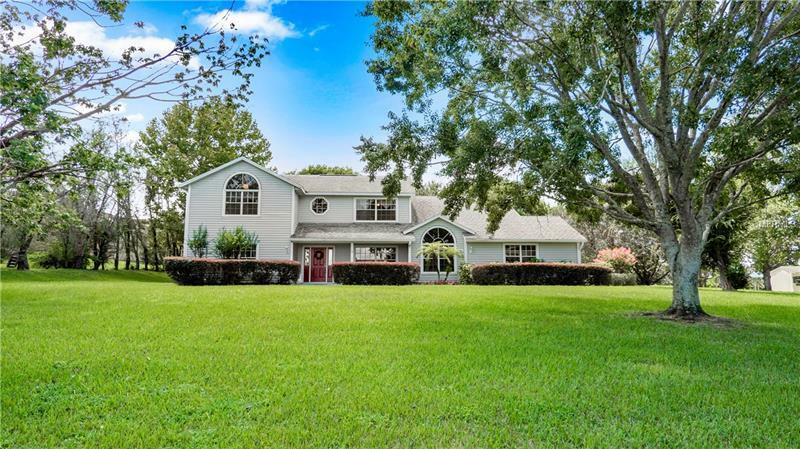 1 ACRE LOT, HIGH ON A HILL with cool breezes on your 44' screened rear porch, or the wrap around second story balcony. Look down from here at your treed lot, even watch your guests on the zipline from tree to tree! Have an RV? They are allowed to be parked here, ask for the deed restrictions (BUT, there are NO HOA FEES!!!) Custom, ONE owner home with many flexible rooms. Although it states only 3 bedrooms, there is plenty of room downstairs for an office, and the loft can be converted into just about anything! The 2nd and 3rd bedrooms are really large at 18" long each!The kitchen has really good space, has quartz counters, walk in pantry, eat-in area, and a built in desk!As it opens to the family room(with cozy wood burning fireplace), this is a great entertaining space that often spills out onto the HUGE 44" long screened and covered rear porch!The formal living room is also right there, and would make a great formal dining room OR fits a pool table with proper space! Secondary flex room is a perfect office or den! The master suite is large, has 2 walk in closets, dual sinks, a jetted garden tub and separate walk in shower. The loft area also opens to downstairs, yet another example of how great this house is to stay connected with family and guests! Have pets? Underground electronic fence! New air conditioners and NEST thermostat, alarm system, how water booster means hot water FAST upstairs! NO water or sewer bills and NO HOA fees! Lawn is fully sodded and irrigated, gorgeous trees! Watch video above photo!